If you feel pollution and excessive use of hair products are making your hair dull then Dabur Amla Hair Oil is the perfect product for you. The natural hair oil adds great strength and shine to your hair. Massage the Shampoo well into the hair and scalp. Dabur Amla Hair Oil 200 ml Natural Care for Healthy Long and Beautiful Hair Nourishing Hair Oil Prevent Breakage and Hair Loss / Amla Hair Oil for Rapid Hair Growth. 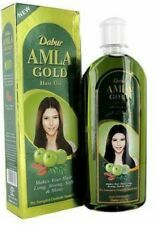 Dabur Amla Gold Hair Oil. Available in 200 ml size. Product Weight: 200 ml. For long, soft and strong hair. Dabur Mustard Oil 2 250 ML. Dabur mustard seed hair oil. Multi Purpose Mustard Oil both for hair and body massage. AMLA GOLD DABUR OIL. 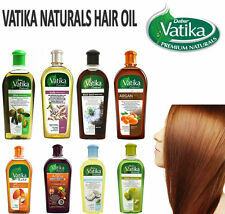 Enriched and light formula of the famous hair oil DABUR AMLA. amla is a natural conditioner that makes it possible to obtain long, very black and shiny hair. Regular application prevents hair loss and the appearance of forks. Is a especially developed hair oil for colored hair. Enhances growth of hair and the Jasmine gives it a fresh fragrance. 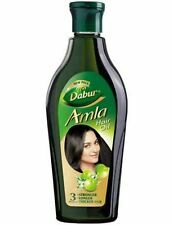 Dabur Amla Herbal Hair Oil. Natural Indian Gooseberry Oil for Beautiful and Strong Hair. Vegetable Oils - natural source of Vitamin E, nourishes the scalp,protects. Key Ingredients. Dabur Amla Kids Hair Oil, made of all vegetable oils, is specially formulated to make your princess's hair long and strong A hair oil with natures goodness for your princesss growing hair. Amla _Known to nourish hair. Dabur AMLA GOLD Hair Oil. Great Hair Oil for Long, Soft & Strong Hair. Strengthening your Hair to Grow Healthier and Stronger. Country of Origin: India. Nett Product Weight: 500ml. 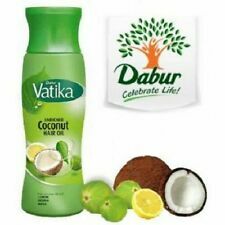 The Dabur Amla Natural Hair Oil – Cooling largely contains natural ingredients and herbal extracts of plants such as peppermint, African oil palm, sandalwood, camphor and amla. Regular use soothes and nourishes the scalp and gives you strong and beautiful hair. Dabur Amla. Das beste Ergebnis erzielen Sie, indem Sie ein bis zwei Kaffelöffel (bis zu 10 ml) Dabur Amla Haaröl im Haar verteilen und dort einige Zeit einwirken lassen (am besten eine Stunde lang). Das beste Ergebnis erzielen Sie, wenn Sie Dabur Amla Haaröl dreimal wöchentlich anwenden. Dabur Jasmine oil has been the secret of beautiful hair for over 70 years. Jasmine Hair Oil. Jasmine - gives hair a fresh fragrance. For long, strong, freshly fragrant shining hair. For coloured hair that needs protection. For over 125 years, Dabur Amla has been the secret of strong & beautiful hair. Regular use soothes and nourishes the scalp and gives you strong and beautiful hair. Fungae in the scalp feed on scalp's natural oils causing irritation and flaking. GENUINE HAIR OIL FOR WOMAN. MADE IN THE UK. LOOK AND FEEL NICE. DABUR AMLA HAIR OIL provides natural care for beautiful hair. Dabur Amla Hair Oil is natural care for beautiful hair. Enriched with the goodness of Amla (Indian Gooseberry); Dabur Amla Hair Oil provides Amla. Dabur Amla Hair Oil is India's trusted hair oil. 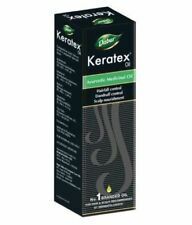 DABUR Amla hair oil. Dabur Amla Hair Oil is a scientific blend of the purest mineral and vegetable oils. 100% Herbal and Effective for all types of Hair.